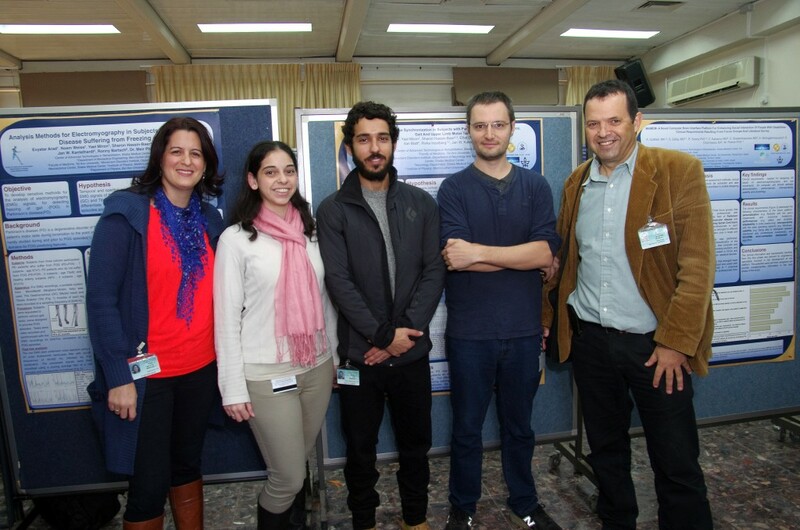 In a recent “Research day”, a day dedicated for presentation of research advances and projects, which took place in the Sheba medical center in 16/12/15, the MAMEM project was introduced using a poster by the personnel of the Center of Advanced Technologies in Rehabilitation (CATR). The poster was displayed among other researchers’ posters in a large room, and at all time there was a lab member standing next to it ready to explain the project details to the audience interested. In general, there were positive reactions towards the poster and the project and the research day was declared as a successful event by all attendees.